What is going on at the Co-operative? When I was growing up there was the local Hull Co-operative Society with its flagship department store (left) in the centre of the City. Local supermarkets were dotted around the suburbs. 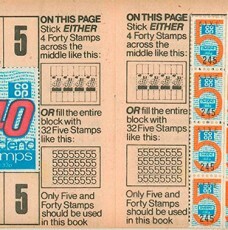 All rewarded customers with dividend stamps. My grandmother collected them – I built a record collection out of them. The insurance company functioned through agents. As a family, we had various policies. There was even a soft drinks delivery service. The ‘pop man’ ca me on a Monday and delivered a bottle of something chosen by my mother. The Hull Society basically collapsed in the early 80s. The department store closed leaving a building to fall into dereliction. The supermarkets also closed. My time in South Yorkshire was punctuated by visits to department stores in Barnsley. And in Norwich, the East of England Society plodded on. Not so good in Brighton where the department store closed a few years ago. The shop was eccentric. Land in Brighton, however, is highly prized. The empty shop has not lingered too long. The façade has been retained with student accommodation being built on the land. From what I can see, the most powerful regional society, The Heart of England, still manages department stores. For example in Nuneaton (above left). It has often been quite difficult to be with the Co-operative. The food shops were always lacking something. The bank, despite its ethical mission, ripped off savers. I left. When I bought a van, the insurance company was one of the few that would insure van as a non-commercial vehicle, but I still needed the endorsement of the agent. A bit of a nuisance. The Co-operative’s difference was its ownership and management structure. It is notionally owned by the members (I am a member, though clearly insufficiently active) and managed by them. To quote John Harris in the Guardian, “At the base are around 48 area committees, each with 10 to 12 elected members who put in three-year terms. These people, in turn, elect seven regional boards – which duly elect 15 of the 21 members of the national group’s board of directors. Of the remaining six, five come from big regional Co-ops, and there is also an independent director.” (http://tinyurl.com/n3yjznb) In recent years, the governance structure has failed. There seems to be something about size. 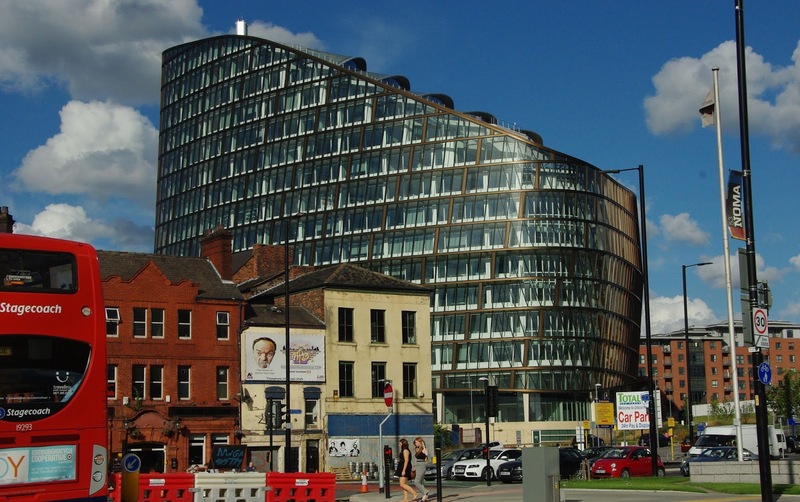 In 2002 retail and wholesale were merged and housed in a hubristic new HQ in Manchester (left). Growth had traditionally been organic – from within rather than by acquisition. Both the bank and the supermarkets seem to have cast that principle aside. The bank failed its due diligence on buying the Britannia Building Society. Had someone looked closely they would have seen ‘sub-prime’ bad debts and walked away. So far the bank has been bailed out to the sum of £1.5bn with another £400m needed. It is now 70 per cent owned by hedge funds and private equity. 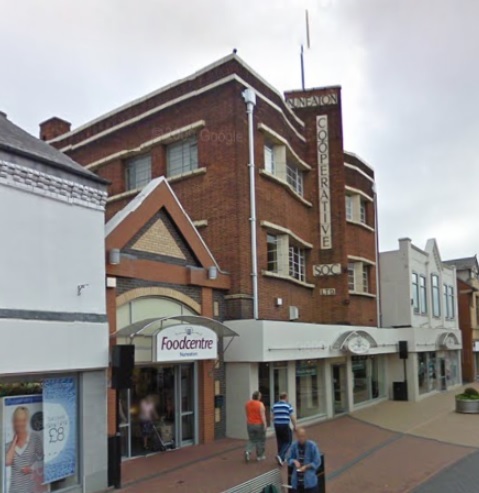 The supermarket in 2009 financed a takeover of the failed Somerfield supermarket chain. 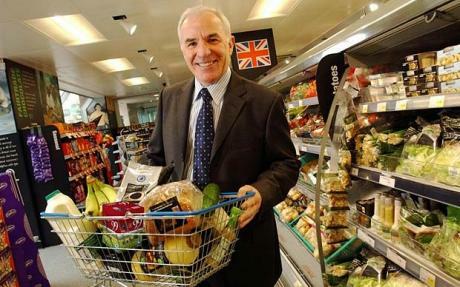 Somerfield had been a basket case for many years, but for some reason the Co-operative’s chief executive, Peter Marks (right), convinced the board that speedy expansion was necessary and a takeover of Somerfield the right vehicle. The Somerfield assets have been written down by over £260m and a percentage will be sold. Last week the Co-operative announced a loss of £2.5bn. Whilst the bank claims a good part of that, the other parts of the group are also ‘underperforming’. Turning this around is not going to be easy. I for one am not convinced that it will survive as an entity. Some of the more influential local societies such as the Heart of England Society have rejected such a plan put forward by Paul Mynors, now himself resigned from the Board. The AGM on 17 May 2014 will be one to watch. Ironically, the analogue for the Co-operative, the John Lewis Partnership, is built on department stores and food retailing. Its management structure is very different. It is run as a PLC with the employees, as partners and members, sharing in the profits rather than managing the generation of profits. Five women spend time together outside in the sunshine. One reclines on a chaise loungue with a cigarette reading a magazine. The other four seem to be in conversation. 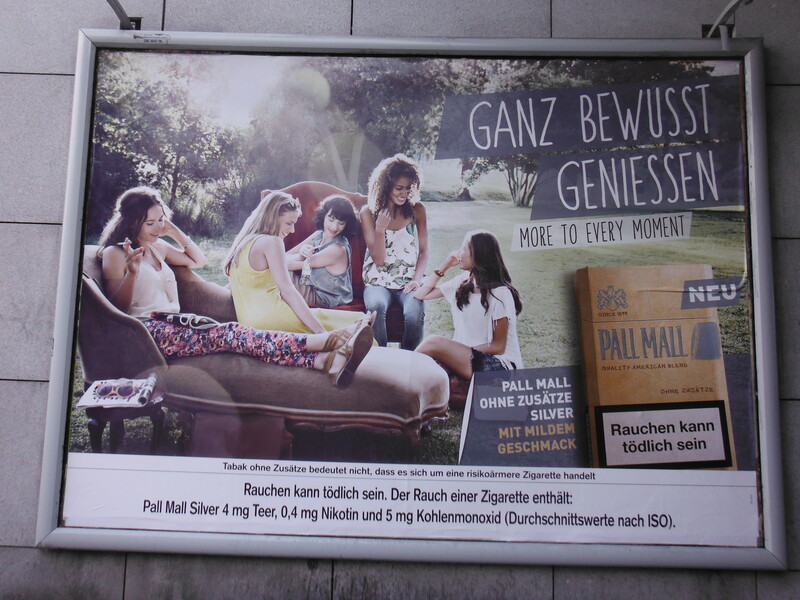 One wonders if there is a relationship between the lone woman with cigarette and the others. Has she been isolated? The others seem to prefer water or nothing. 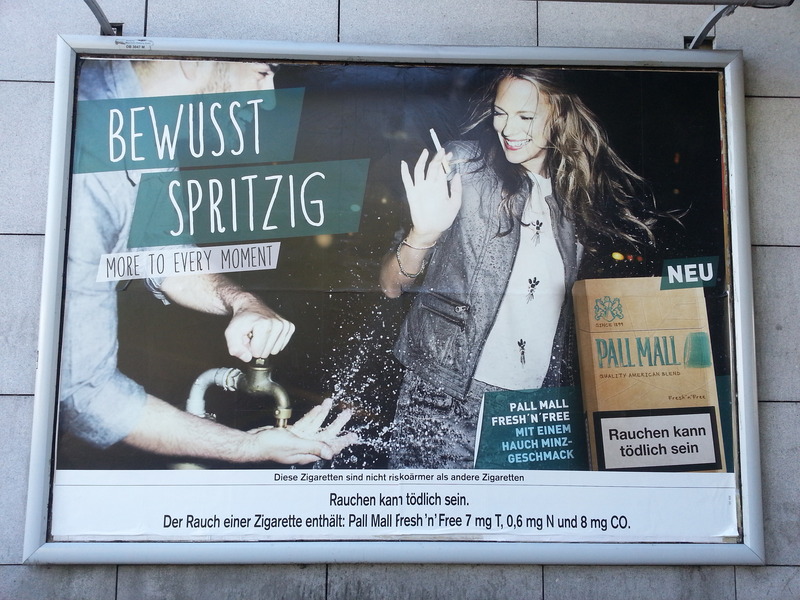 This particular Pall Mall product has a mild taste, whatever that is. But clearly it reflects the moment. Presumably, if they were doing something more edgy, they may choose a minty one (see post 18 April 2014)? How refreshing. Cold water and minty cigarettes. Pall Mall leads the way. It takes a devoted woman to relish being sprayed with water, not only damaging her new leather jacket, but that cigarette is not going to light after this. At a fiver a pack, that’s at least 25c down the drain. And if the full packet is in a pocket, even more. Not forgetting the matches. The birthday of my beloved, Ilonka, demanded this year a special celebration. Friends, family and others were invited to the house for music (a piece of Cabaret – Rotraut Arnold; a four-piece jazzy ensemble – Vobbs, and a violin duet – Alex and Daniella) and food. The food needed to be good for some of Bayern’s most sceptical carnivorous palates. 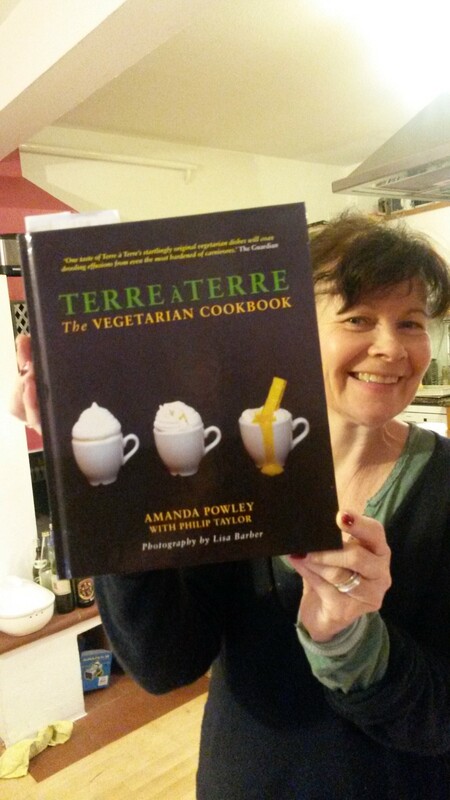 We bought the recipe book from our favourite restaurant in Brighton, Terre-a-Terre and proceeded to convert the words and pictures into the real thing. 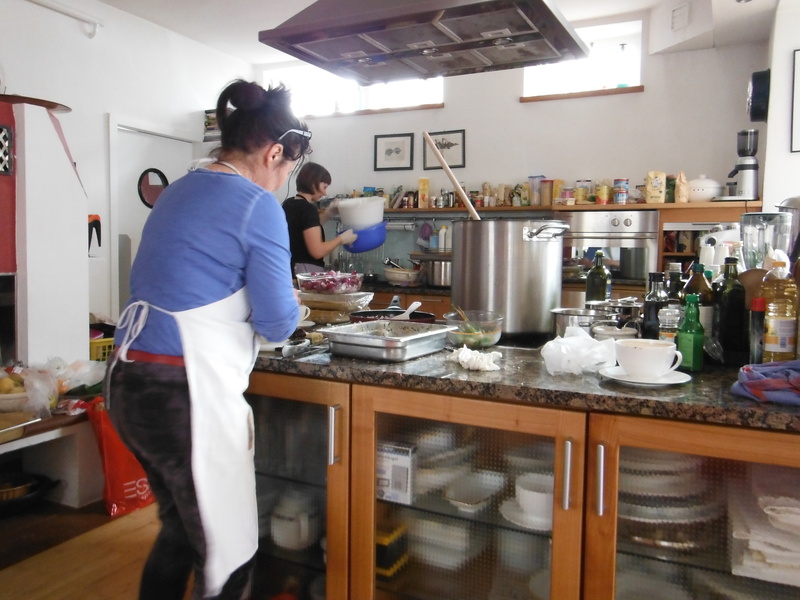 We employed the services of a professional chef, Jana Bezold, to help manage the process. Her sheer food and team management skills were invaluable. Anyone familiar with Terre-a-Terre knows only too well the complexity of the menu, ingredients and jiggery-pokery needed to pull off each dish. The dishes are the work of creative chefs who primarily understand vegetarian food and take risks to create the unexpected by mixing textures, flavours and colours. Ultimately, one goes to a restaurant to eat food that is not so easy to make at home. This was our challenge: to convince 50 guests from different backgrounds, of various ages and tastes feel they are having a memorable food experience. It took us over four hours to buy the ingredients from three shops. The ingredients ranged from potatoes to powdered mango, Papaya to Peanuts and pickled ginger. We opted for a couple of utility dishes, vegetable lasagne and spinach pie, not least because we had some children visiting who are not so adventurous and forgiving. 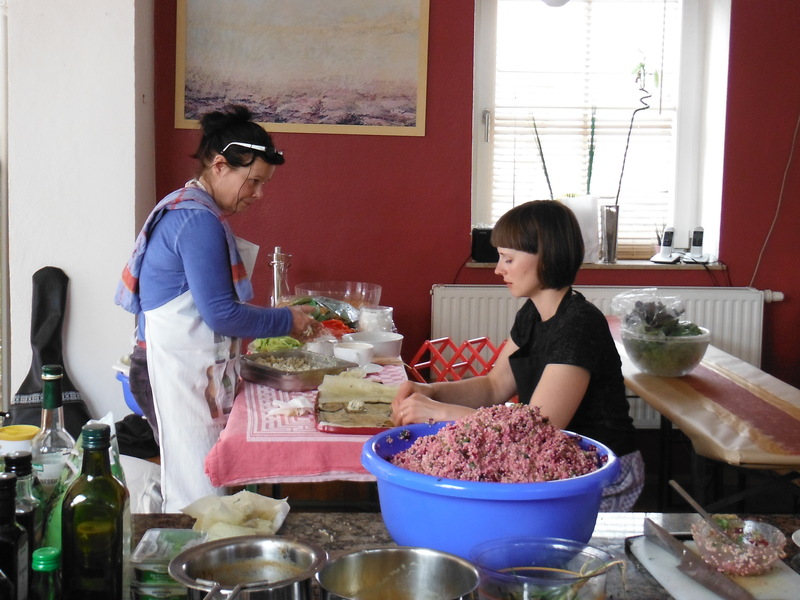 So, on the menu was: Chana Chaat, minty mushy peas (on toast), rice paper blankets (filled with salad), rice noodle salad, marinated tofu kebabs, samosas, quinoa and beetroot salad, aubergine parcels. Our chef, Jana Berzold trained in one of Munich’s traditional Gaste Houses. Very meaty, very hectic. She then graduated to a Michelin starred restaurant in the city. She now works at a vegetarian café/restaurant in the city called Gratitude (http://www.gratitude-restaurant.de/). 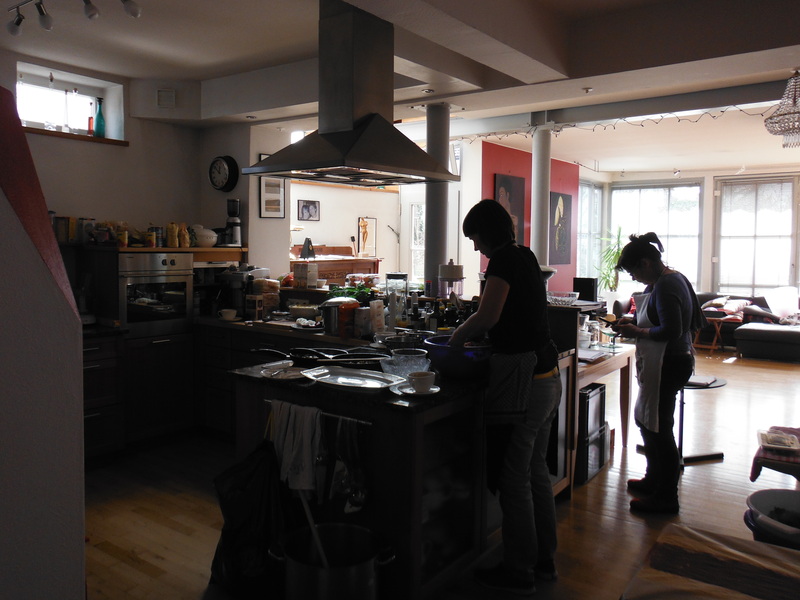 She worked through our menu and visited the kitchen to check that it was suitably equipped. She fielded our questions about ingredients as we struggled to identify and differentiate all that we needed. And then she turned up at 0830 on the morning of the event ready to cook. Not all was in order, I sensed. She arrived with a box of own utensils, bowls and pans. Of particular importance were knives. Sharpe knives. It is a bit of a cliché, but our knives just were not up to the job. Onions do not get rapidly cut, sliced or diced with a blade anything less than razor sharp. Lesson one. I also sensed that the training delivers a competence beyond reading recipes. The authors of the recipe book note in the introduction that they were reluctant to publish the recipes because the alchemy required to make them work requires a skill that most amateurs do not have. We had the alchemist. She instinctively knew the balance of ingredients, herbs and spices. Taste is everything. If it does not taste right – or even taste, as was the case with the rice noodle salad – then add…something. It is that something that eludes many of us. Lesson two. Cooking is a team pursuit. And most in the team are kitchen assistants who take orders from the authority figure. Some TV chefs thrive on authority derived from fear. Jena demonstrated a more subtle authority. She inspired participation. The opportunity and willingness to learn demonstrated by the passing helpers was derived absolutely from Jena’s sense of mission. Lesson three. When it came to serving, the snack food on arrival was appreciated not least because it was late in the day. Guests were actually hungry. More than nibbles, less than a main course. Colour. Also, when there are a variety of unfamiliar dishes, guests like to try them all. Rightly so. And finally, it seems wholly appropriate to ask guests to bring dessert. Desserts are utilitarian – everyone can do dessert, whether it be a cheese selection, cheesecake or pralines. And certainly we were not let down. The array was impressive. And again, everything had to be tried. A final Observation, seating. Guests do like to sit down and talk. We hired and borrowed benches and tables. These were decorated and well used, I suspect also that guests stayed longer because eating was not so hurried. And clearing was also easier. For the labourers like myself, the enjoyment came from seeing guests relaxing, experimenting and anticipating what was next. There was enough to see off even the most seasoned partygoer. 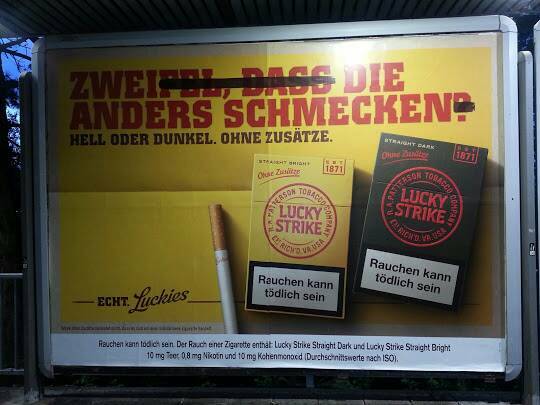 Lucky Strike’s approach to marketing its products in Germany is as curious as any. Take a statement, cut out some superfluous words (by putting a line through them so as not to render them illegible) and celebrate the outcome. So the latest one – excuse the poor picture, but I take them, or ask others to take them when spotted – goes from zweifel, dass die anders schmecken? (doubt the difference in taste?) to zwei die anders schmecken (two that are different in taste). From a question to a statement. How clever. He died suddenly on 2 April. I was on my way to see him when he died. I heard the news from my sister at a motorway service area on the A1 south-north road in England. The administration of a death is unrewarding. One has to make an appointment to register a death. Seemingly, not all doctors – post killer-doctor, Harold Shipman – are qualified and/or able to write the necessary death certificate. No death certificate, no registration. No registration, no funeral. The choice of undertaker, Annison and Boddy (part of the Dignity group), my father already made. They were excellent. We allowed the undertaker to manage the process for us. I even accepted the door of the car to be opened for me. We allowed the undertaker to appoint a skilled celebrant, Paul Hamby. He did us a fine ceremony. God was absent. 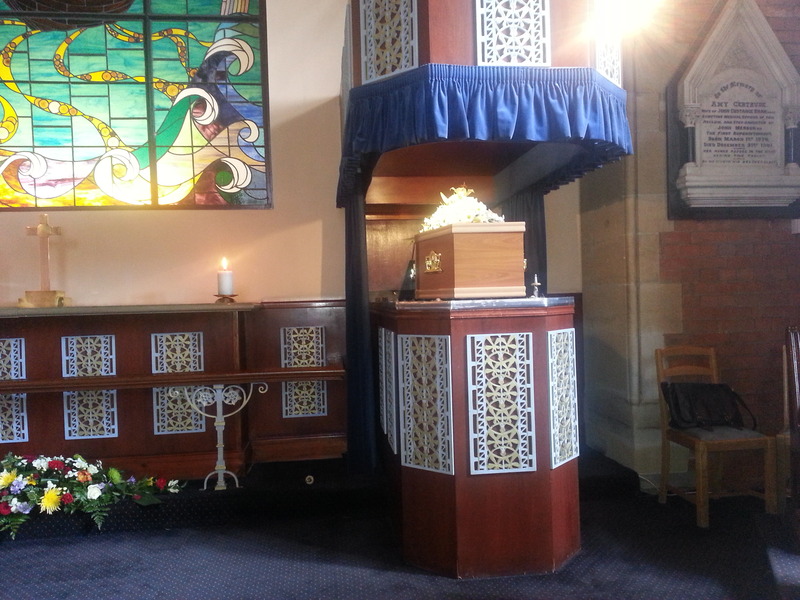 We entered the Haltemprice Crematorium in the northwest of Hull on 11 April to the music of Reginald Dixon, a fine (Wurlizter) organist. His music was a feature of my childhood. The most emotion came from a piece of music from Daniel O’Donnell. ‘Forever You’ll be Mine’ which best captured my father’s devotion to my mother. The tears were impossible to hold back. We departed to Elgar’s Pomp and Circumstance, part of the finale for each year’s BBC Proms concerts, which we always had to endure as children. Only for me to be a regular Prommer in later life. There is much to reflect upon. 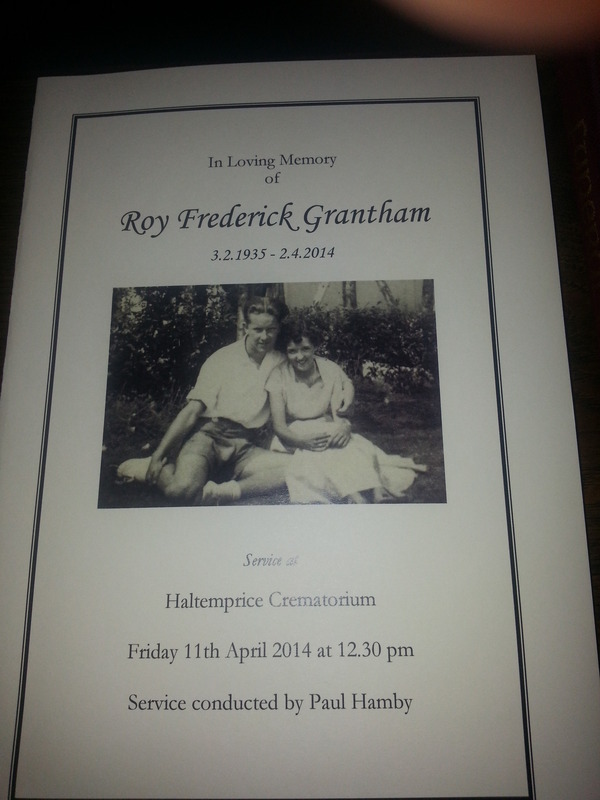 Back in Hull for the funeral of my father. After the funeral I took some air and wandered around to pick out some of the City’s architectural delights such as the Town Docks Museum (left). Located in between two docks (one filled in and turned into a park, the other retained with an unattractive shopping centre built over the top). But not all retail space is ugly in the city. 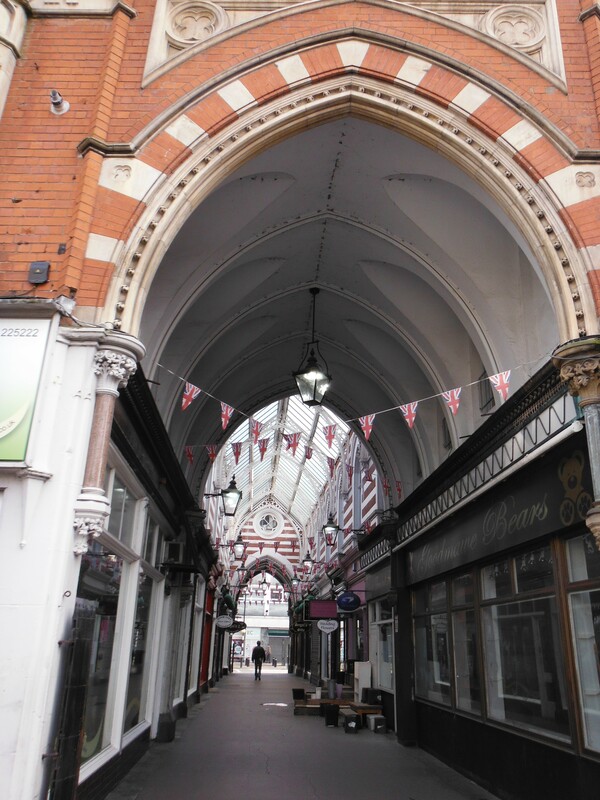 Paragon Arcade (right) is attractive as any that one might find in Paris. And it is not the only one. Opposite the Town Docks Museum is the City Hall (concert hall, below left). I can trace the advent of my own hearing problems – tinnitus – to a concert by Souxsie and the Banshees at this venue in 1980. Not many bands came to Hull, probably because the acoustics are pretty awful. Or Hull is just unfashionable. Hull is also exemplary in public toilets. I know this does not sound complimentary, but three of the City’s public facilities are extraordinary. 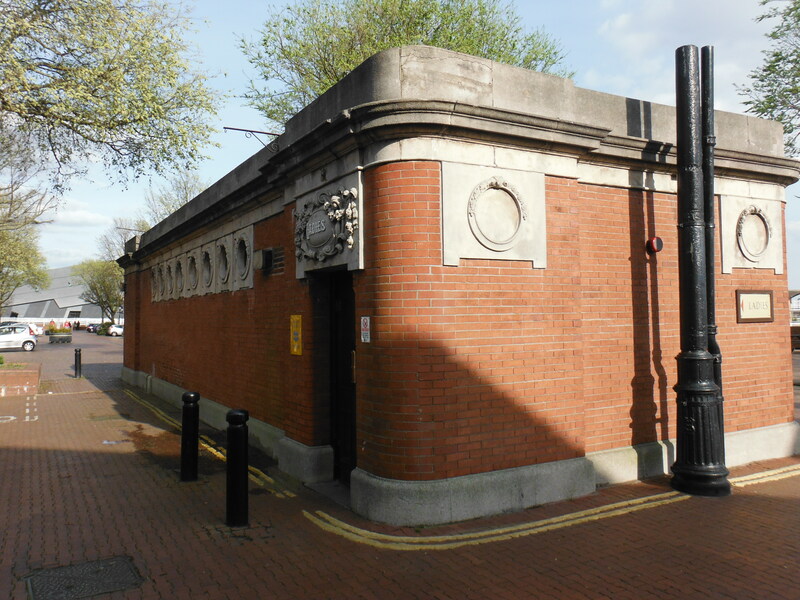 One sat under Lowgate – only for men – used to have goldfish in the toilet glass cisterns. Or is that apocryphal? The second key set are under Queen Victoria Square flanked by the Town Docks Museum, the Ferens Art Gallery and the City Hall. One route in and one route out. Fascinating as a child. And finally, are those sat in the middle of the road at Victoria Pier, the one-time terminus for the Humber Ferry prior to the building of the Humber Bridge. I can only talk about the men’s. The urinals are huge. They seem to envelop the user with white porcelain. The attendants decorate the space with flowers whilst keeping them spotlessly clean. Just along the road from the toilets is one piece of modern architecture that houses the city’s aquarium, the Deep (left). 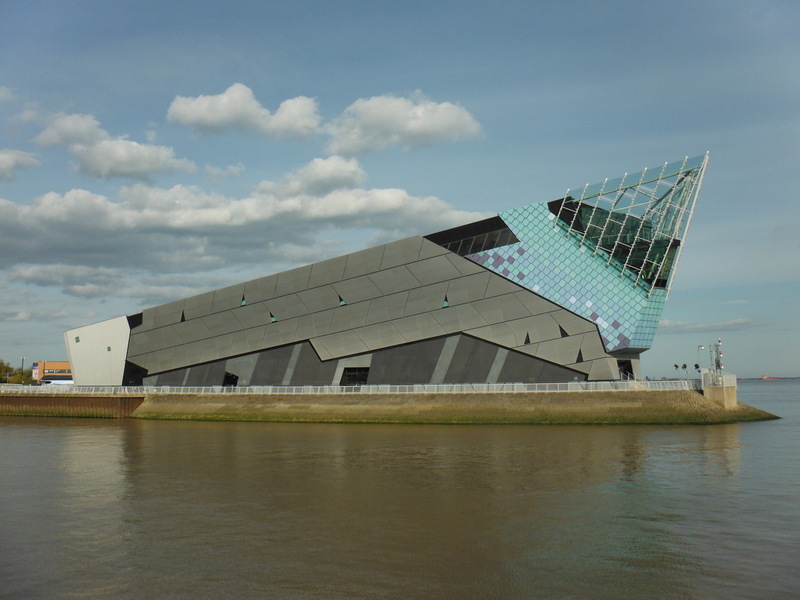 Built on Sammy’s point, where the River Hull meets the Humber, in 2001. The architect was Sir Terry Farrell, and was constructed by Mero-Schmidlin (UK) PLC. It is as striking as any building in the city. When I lived in the city, I was obsessed with the bridges across the River Hull. For anyone living in the east of the city, the triplets, Drypool (1961), North (1932) and Sutton Road (1939), Scott Street swing (1901 and no longer functioning), Sculcoates (1874) and Stoneferry (now replaced) bridges guaranteed the uncertainty for any commuter at high tide. When the bridges were open, half an hour could pass easily before the traffic could again move. Always exciting. Myton Bridge (1981) followed carrying the A1033 that linked the motorway to the docks. And for cyclists and pedestrians, there was always the abandoned Wilmington railway bridge (1907). Despite the Withernsea railway being decommissioned in the 1968, the bridge remained; maintained and operated. Then two footbridges emerged. The first – the Millennium – links the west and east sides adjacent to the Deep. The second, Scale Lane, finished in 2013, links the west and east sides for easy access to the museums (view of museums from bridge, right). This bridge is unique in that pedestrians can stay on it when it swings to allow ships to pass. I’ll post up some pictures of those bridges after my next visit. Keeping a meaningful blog up-to-date is not trivial, I find. In recent weeks I have been busy moving house (some reflections to come) and dealing with the sudden death of my father. The latter has clearly taken up much mental space rendering most other issues less significant. 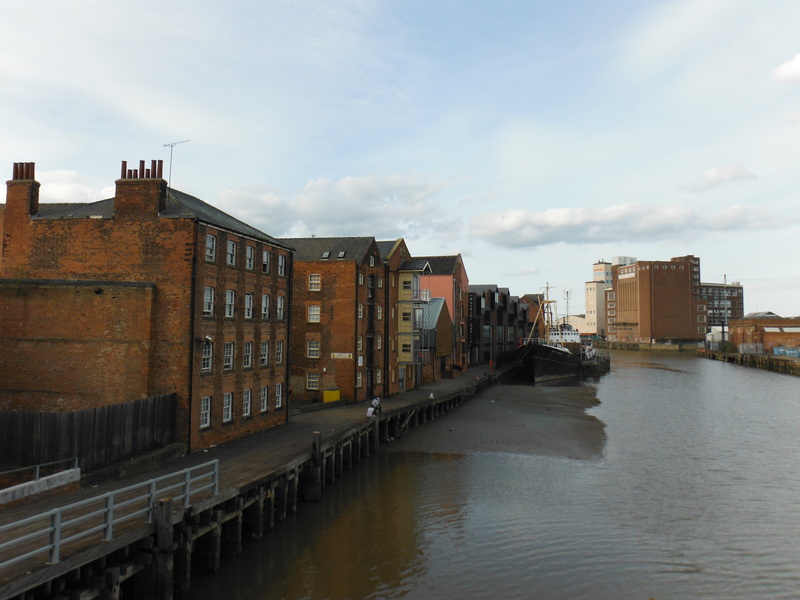 I find myself writing now from my home town, Kingston-Upon-Hull in the East Riding of Yorkshire in the UK. It is not a pretty town. It was heavily bombed during the war – it was and is a significant port – and the rebuilding was not the most sensitive. Take this picture (left) for example. This is Prospect Street in the City Centre at 0815 on a weekday morning. This is a utilitarian 1960s building showing considerable creativity with respect to naming. Actually, the name is fit-for-purpose. The shutters are ubiquitous as are the pawnbrokers and betting shops. 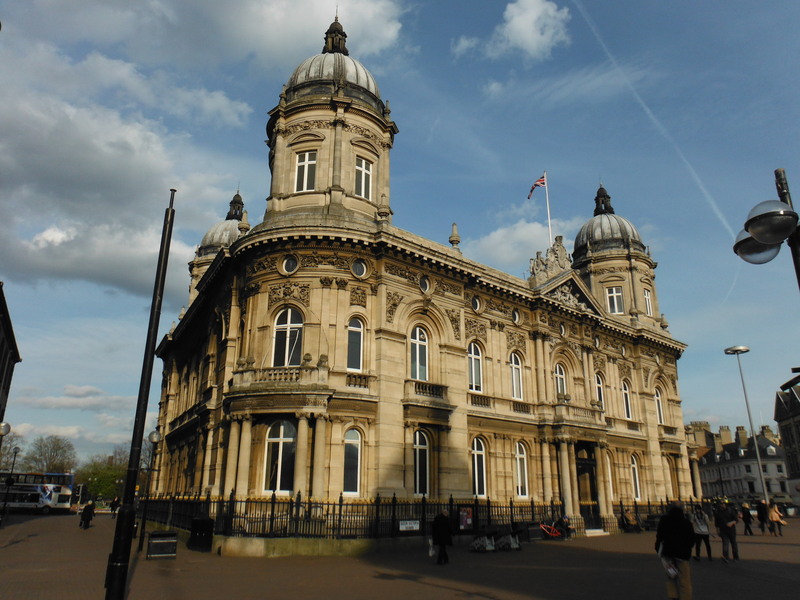 That said, Hull, as it is known locally, has a historic quarter and grand buildings to demonstrate its former significance and power. The Guildhall (right) is one of the most impressive in the county which boasts both York, Leeds and Sheffield. It was designed by Edwin Cooper and completed in 1916. It was damaged in the war but restored fully in 1948. Nikolaus Pevsner, the architectural writer and critic, not a man to be easily impressed, described its Baroque Revival style exterior and interiors as a ‘tour de force’. 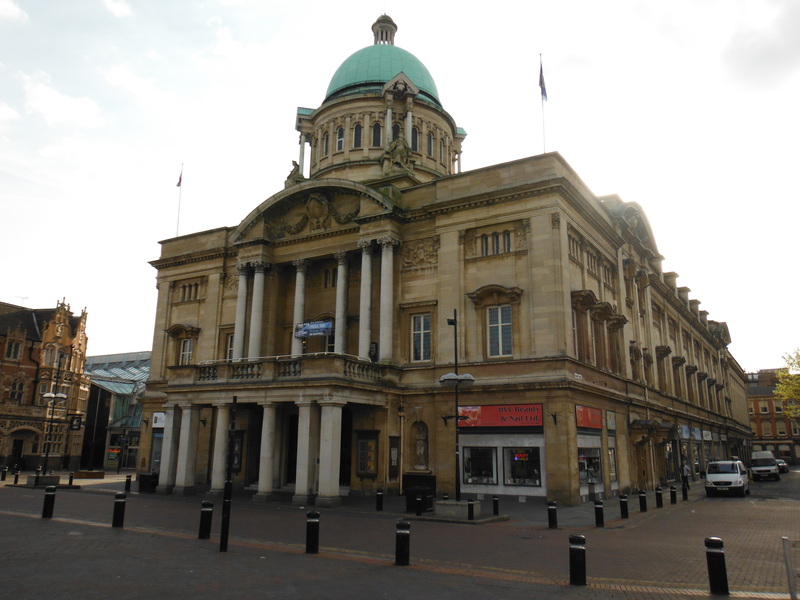 Nearby are the Town Docks buildings – as grand as Liverpool’s waterfront, arguably – the City Hall (concert hall) and the Ferens Art Gallery, bearing the name of one of the City’s great benefactors. Hull’s relative isolation delivered over the years a number of quirks. 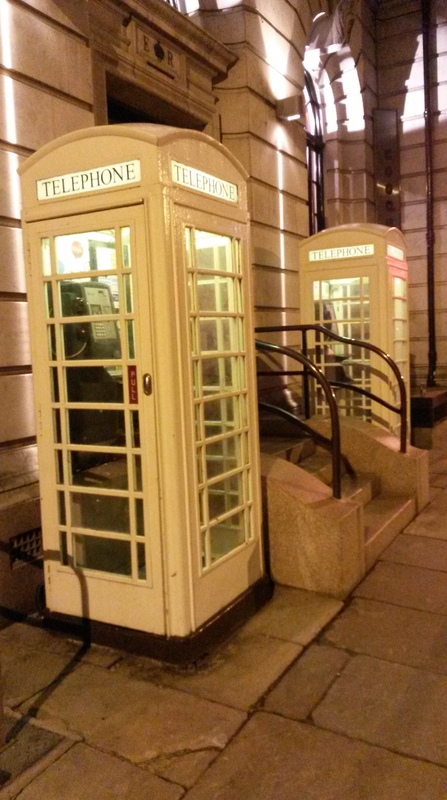 For some reason, British Telecom – and its predecessor, the General Post Office (GPO) – did not swallow up Hull’s Corporation-owned and run telephone service, epitomised most visibly by the cream public telephone boxes (left). 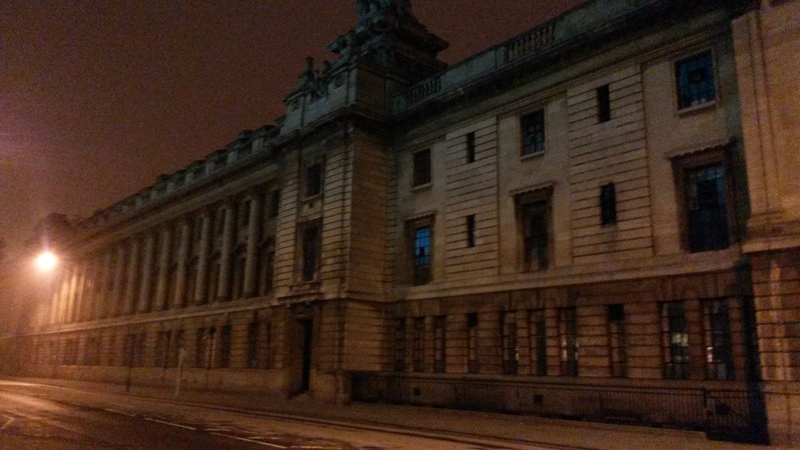 These two fine specimens are located next to the equally grand GPO office on Lowgate, now a Wetherspoons pub. 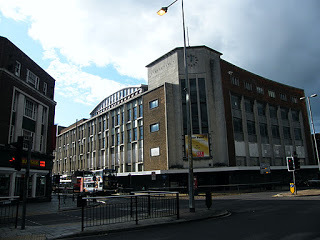 In recent years there has been much regeneration in the Town Centre. 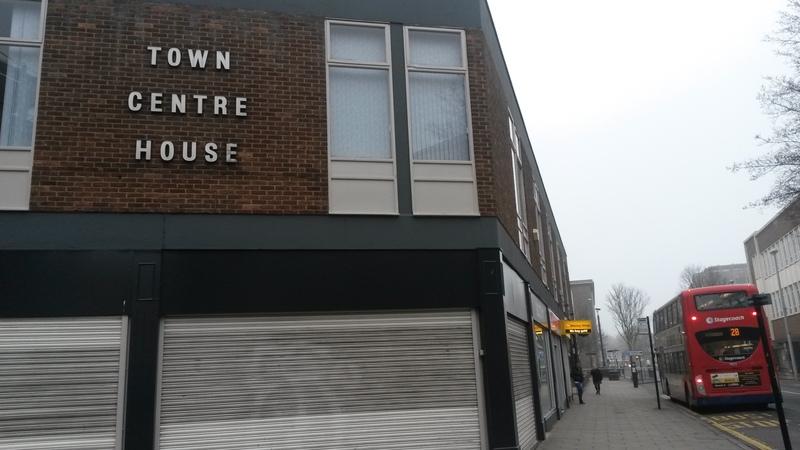 Ferensway – named after the benefactor – has been completely redeveloped; it is dominated by a shopping centre, though nearby is the splendid Hull Truck Theatre and the Albermarle Music Centre – an upgrade of the former youth centre on the site. 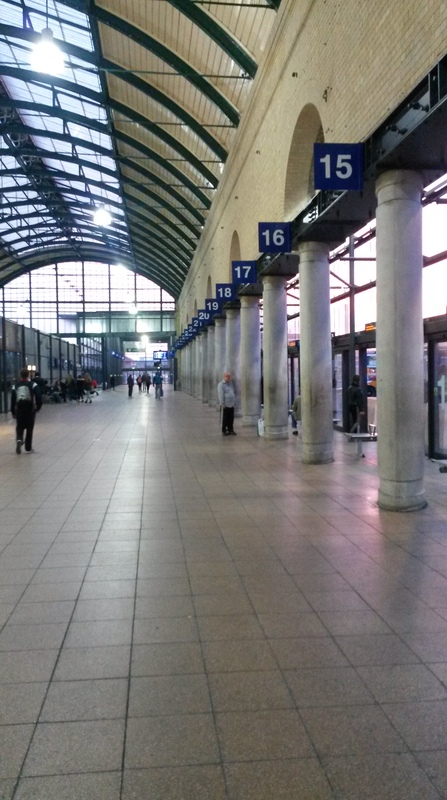 That said, the shopping centre reaffirmed the railway station area as the centre of the city. Over recent years, the heart of the city had shifted slightly East. But such is the poverty in this city, the new focus has just caused the existing shopping areas to fall into disrepair, with those shops/chains able to do so, moving. To my eyes also, there was a missed opportunity. The grand Paragon railway station had its stone façade re-instated (in the 1960s another utility office block was parked in front of it). The old bus station was demolished and an ‘interchange’ built. Not before time, but the result is less-than satisfactory (right). It straddles the side of Paragon Station. With 40 stands it is long, cold, echoey and slightly threatening. New architecture is appearing all over the City. I cannot help feeling that the errors of the 1950s are being repeated. 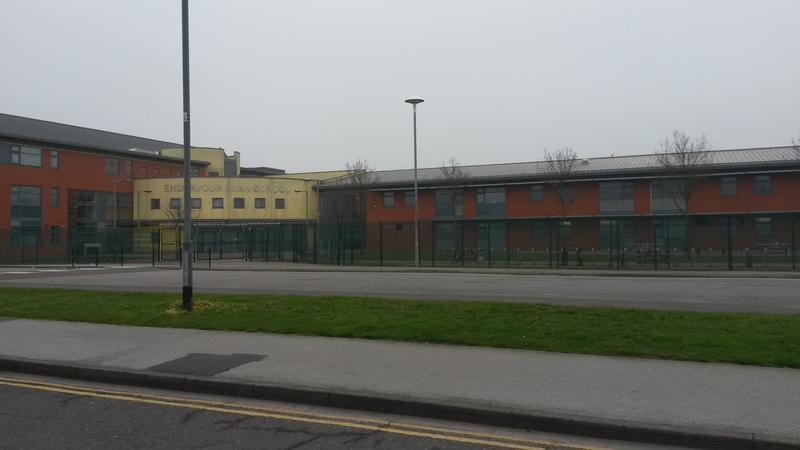 Take the Endeavour School on Beverley Road (left). The naming is what one might expect (and in contrast to the ‘Town Centre House’, above). But it really looks like a ‘secure’ facility rather than a place of learning, youth and endeavour. I will return with my camera and a copy of Pevsner for some more reflections about this City. There are things to be optimistic about. Siemens is investing heavily in a Wind Turbine manufacturing facility here. It will be City of Culture in 2017. 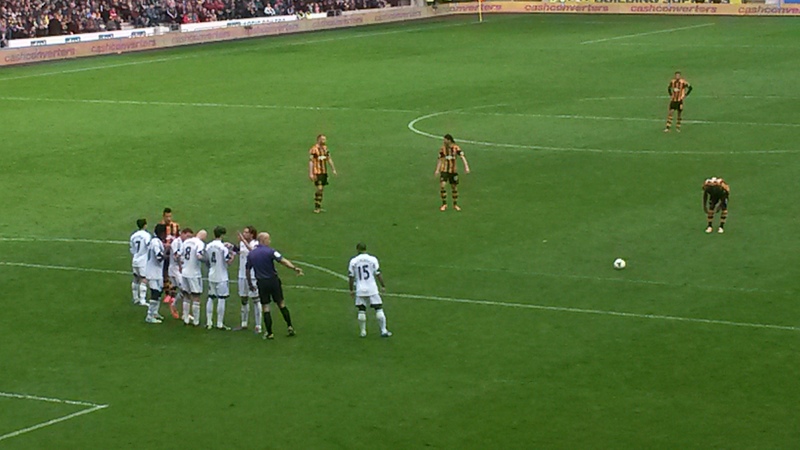 And the football team (right) are in the Premier League. That quirky telephone company provided the funds to build the stadium that enabled improved fortunes for the club.